More than 30 years of professional experience in the cabinet refacing industry has made Cabinet Cures an expert in creating beautiful kitchens and bathrooms. Let the experts teach you about the current trends with kitchen designer tips. These videos talk about ways to make useless space in your kitchen have purpose while keeping with the times. All of our kitchen designer tips are available as options during the cabinet refacing process. Contact us for more information. READY TO REDESIGN YOUR KITCHEN WITH CABINET REFACING? Deco panels can tie otherwise flat, blank spaces into the rest of the kitchen by having similar style as your cabinet doors. If you are using our high-end custom glazes with cabinet refacing, adding deco panels allows for us to apply the glaze in otherwise blank spaces to tie the kitchen together. Learn about the professional designer secret of glass cabinet doors and why they add value to your kitchen. We provide a variety of styles of glass to choose from when refacing your cabinets with a couple glass doors. Cabinet Cures Custom Cabinet Refacing steps you through several options when remodeling your kitchen. Popular choices of Mix ‘n Matching colors includes light upper cabinets and darker lower cabinets or the kitchen island using a contrasting stain or glaze. 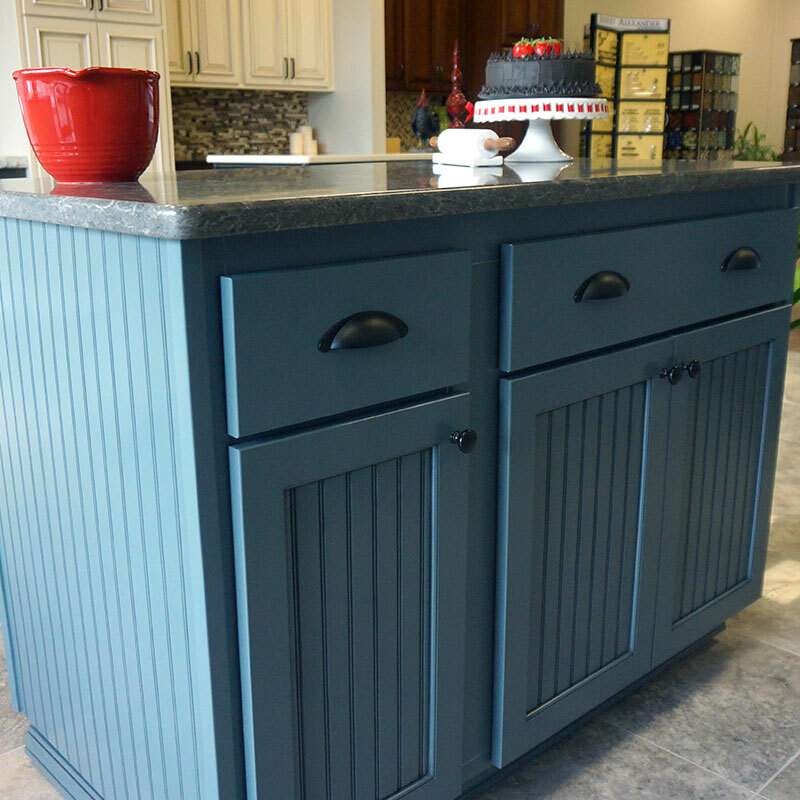 Cabinet Cures will show you new ways to gain more kitchen storage. The advantages of converting lower cabinet doors to banks of drawers are worth it! Learn how to get rid of old 90’s kitchen styles with our cabinet refacing strategies. Simple conversions can create a world of difference in a kitchen.